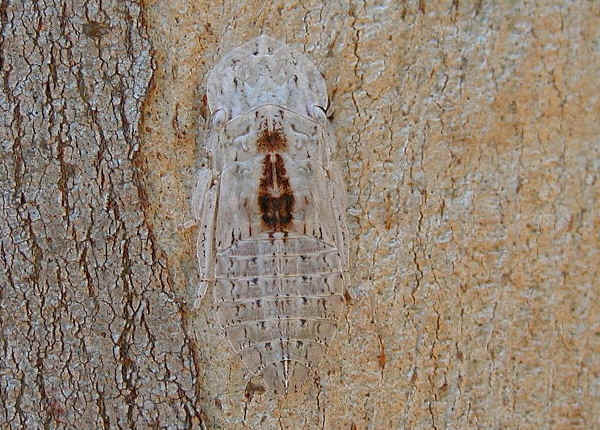 This page contains pictures and information about The World's Largest Leafhoppers that we found in the Brisbane area, Queensland, Australia. 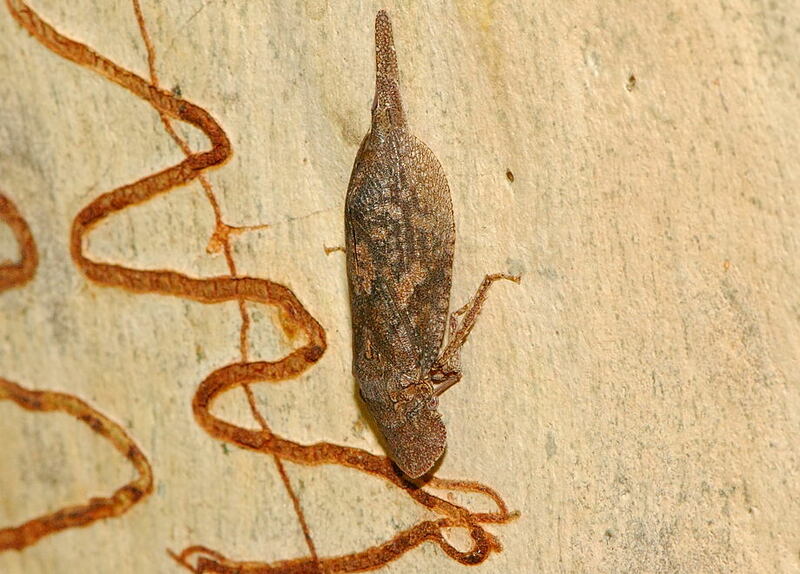 This is the world's largest leafhopper. 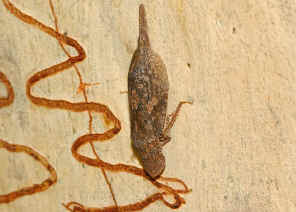 It is a female and the abdomen is greatly elongated by the large ovipositor. 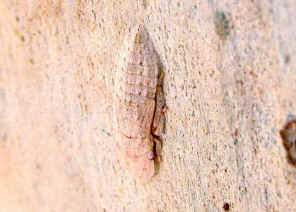 It is believed that there is only the female (yes, no male, also known as parthenogenetic) in this species. 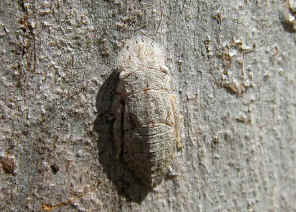 The leafhopper has the head largely expanded towards the front. 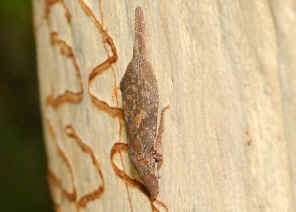 It is brown in colour with varies patterns on body. 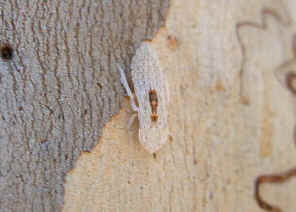 On Feb 2009, We found this large leafhopper the first time in the bushland near Tingalpa Reservoir. 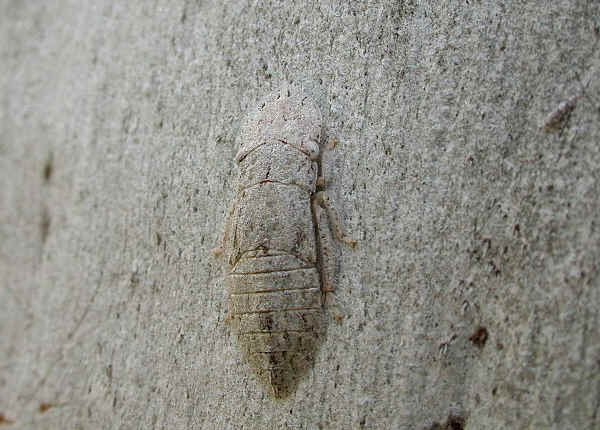 It was on tree trunk of a large Scribble-bark gum tree. 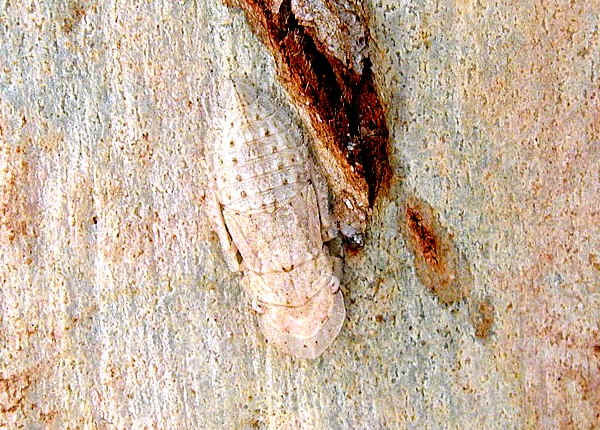 We thought we saw something interesting on the tree trunk but checked carefully it was just a pieces of small bark. We were about to go away but just to make sure by disturbed it with a stick. 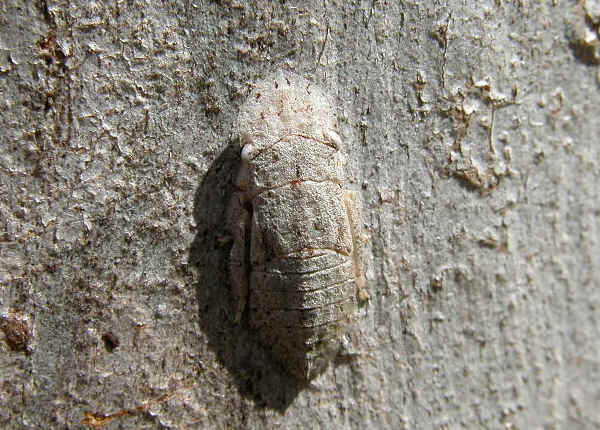 It held tight on the tree trunk and we thought it could be a spider underneath. Checked again very very carefully and found that it was a leafhopper. The large leafhopper did not move a bit even it was disturbed. 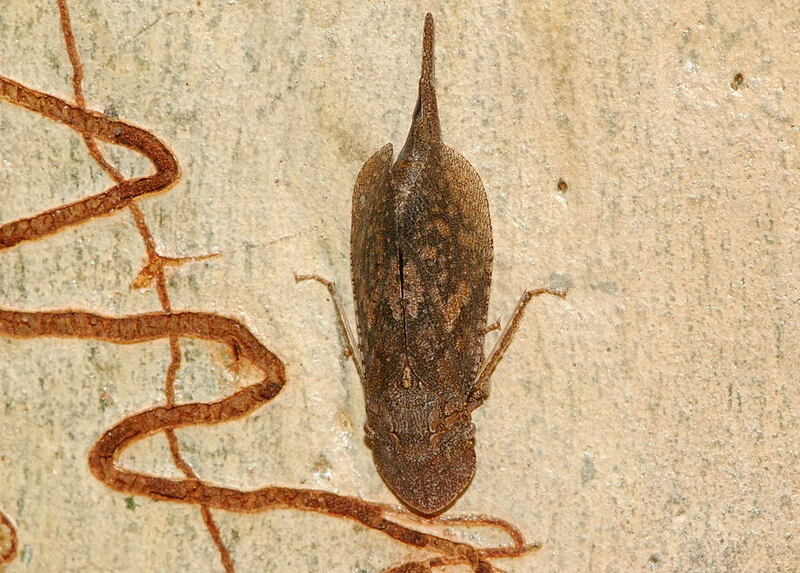 The nymphs were more often seen than the adults. They are quite common on smooth bark gum trees during summer time. 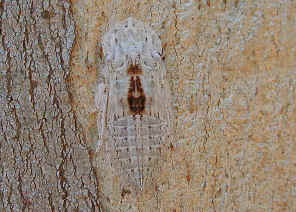 However, they are very well camouflage, to spot them will need some patience. 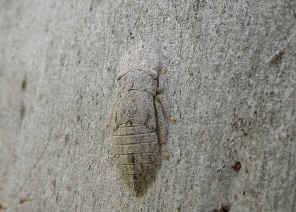 This nymph was almost invisible on the gum tree trunk in Cotton Hill during mid summer. 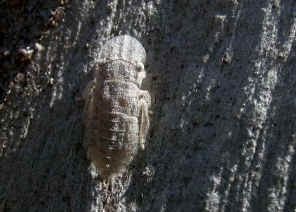 When we move closer to it, it ran quickly around the tree trunk. 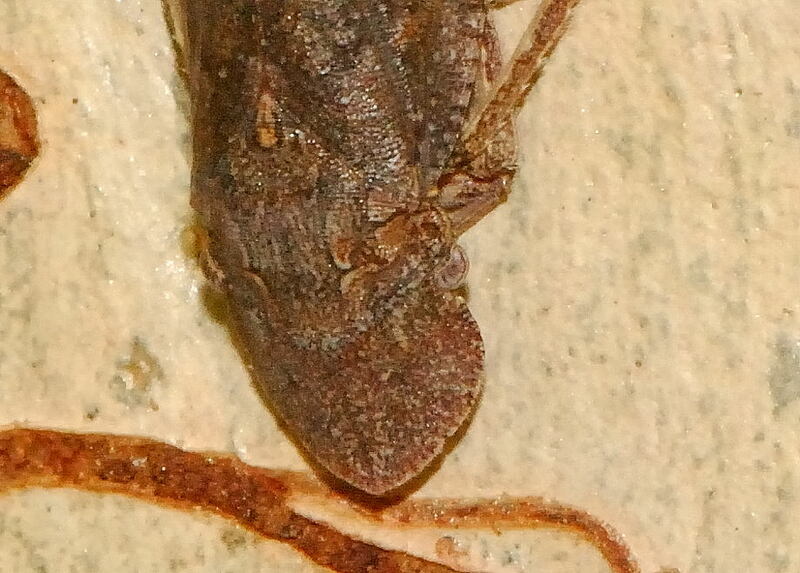 Its body was extremely flat and make no shadow at all. 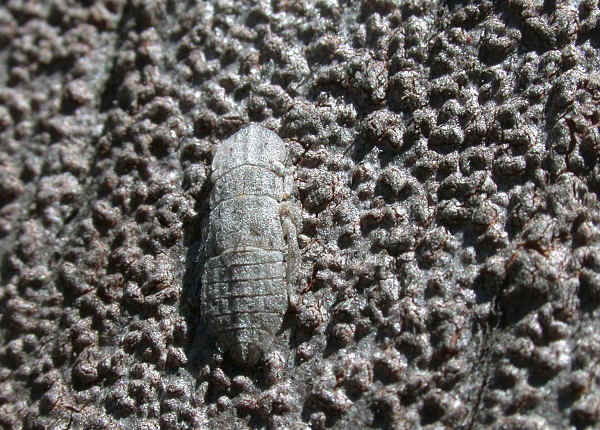 They sometimes found with head facing upwards and sometimes downwards. 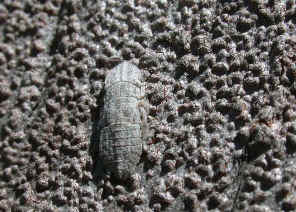 We suspected some of the nymphs showing in this page could be belonged to the other species - Black Flat-head Leafhopper. 2. 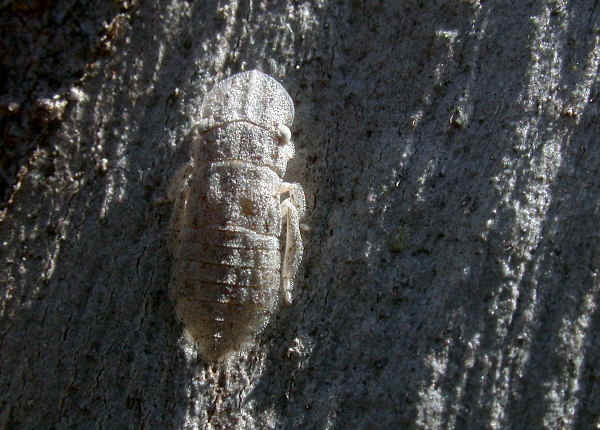 Insects of Australia, CSIRO, Division of Entomology, Melbourne University Press, 2nd Edition 1991, pp 470. 3. Species Ledromorpha planirostris (Donovan, 1805) - Australian Faunal Directory, Australian Biological Resources Study, 2008. Last updated: July 09, 2009.